STAR SOLAR TECHNOLOGIES TERRALAB FACILITY. AN ENVIRONMENTAL SOLUTIONS LABORATORY WITH ADVANCED ELECTRONIC WATER PRECIPITATION GENERATOR SYSTEMS, THE FIRST OF THEIR KIND ON THE PLANET. MAKING THE MOST WATER ELECTRONICALLY ANY WHERE ON THE PLANET. 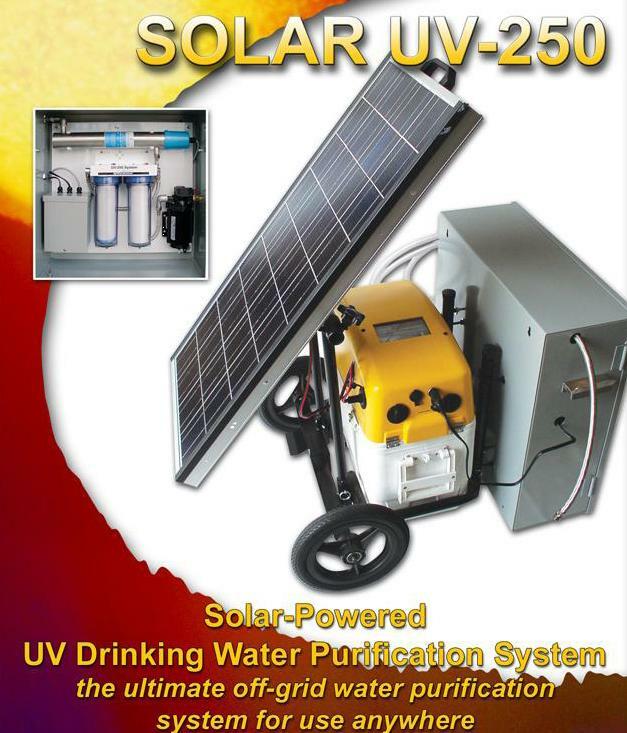 The WB Solar UV-250 System combines high-quality pre-filtration with our hi-power ultraviolet purification technology to produce a complete water quality system for use in “off-grid” applications. 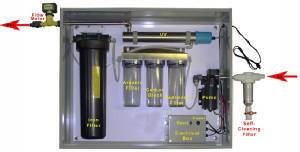 The filter systems remove sediment, rust, dirt, taste and odours that may be present in the water. The water is then purified in the high-intensity UV chamber producing drinking water that is crystal-clear and free from disease-causing pathogens including bacterial, viral or cyst contamination. 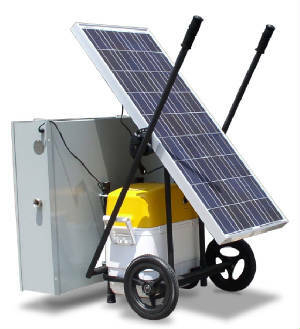 The system includes everything you need to operate the WB Solar UV-250 right out of the box including pump and solar power pack. These filters can be customized to the customer's needs.